Indulge yourself in 4-star oceanside comfort right on the beach at Novotel Sydney Manly Pacific hotel. Awake to an ocean sunrise and a breath of sea air in your light, contemporary room. A surf or a waterfront jog and a Pacific-backdrop breakfast with eggs made to order and barista coffee get your day off to a bright start at Novotel. Make yourself at home in one of the 21 guestrooms featuring refrigerators. Complimentary wireless Internet access is available to keep you connected. Bathrooms feature showers, complimentary toiletries, and hair dryers. Conveniences include desks and electric kettles, and you can also request irons/ironing boards. Make yourself at home in one of the 20 individually decorated guestrooms, featuring kitchenettes with refrigerators and microwaves. Complimentary wired and wireless Internet access keeps you connected, and digital programming provides entertainment. Conveniences include coffee/tea makers and ceiling fans. Make yourself at home in one of the 27 guestrooms. Complimentary wireless Internet access is available to keep you connected. Conveniences include coffee/tea makers and complimentary bottled water, and housekeeping is provided daily. Take in the views from a terrace and make use of amenities such as wireless Internet access (surcharge) and gift shops/newsstands. Additional features at this hotel include wedding services, tour/ticket assistance, and a picnic area. 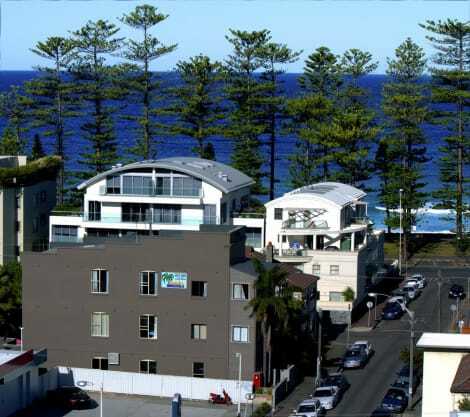 There are two different ways to stay at Manly Oceanside accommodation. The apartments are all self-service, self-contained and have all the amenities of home with a kitchen, fridge, oven, microwave, air-con and off street parking is available but limited, on a first in basis at no extra charge. The Motel Suites and Rooms contain all you need for an enjoyable stay with on-suite bathrooms, a fridge, microwave, toaster, kettle, tea and coffee also off street parking is available on a first in basis as it is limited. 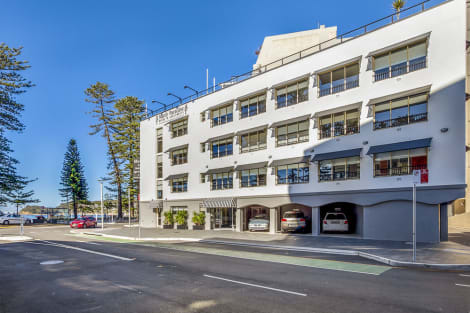 All apartments, rooms and studios are all located within close proximity to one another and all conveniently close to Manly Beach and Manly Corso, a gentle 10 min stroll down the beachfront. There is a very friendly team of staff (and a perky parrot named sweet pea) whom all of which are locals, who will be able to assist you with any questions or queries you might have during your stay. This smoke-free apartment offers offsite parking. 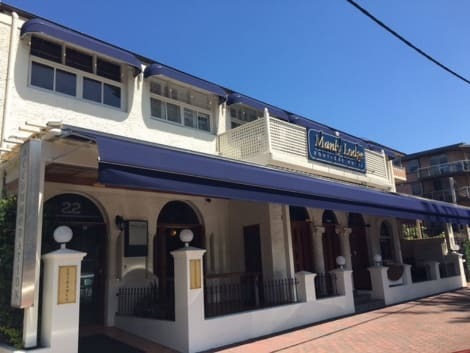 When you stay at The Manly Lodge Boutique Hotel in Manly, you'll be near the beach, within a 5-minute drive of Manly Beach and Shelly Beach. This hotel is 6.1 mi (9.8 km) from Taronga Zoo and 7.9 mi (12.7 km) from Luna Park. Offering the finest in accommodation and service each one of its stylish rooms and suites feature spacious bedrooms luxurious bathrooms and laundry contemporary furnishings work desk modem connection and dedicated data point. With cosmopolitan cafes trendy galleries boutiques surf shops and the sparkling waters of Manly beach only a short stroll away the hotel is the gateway to Manlys unique beach culture. With a stay at Quest Manly in Manly, you'll be 0.2 mi (0.4 km) from Manly Surf n Slide and 7.8 mi (12.6 km) from Sydney Harbour Bridge. This 4-star apartment is 8.1 mi (13 km) from Sydney Opera House and 9.1 mi (14.7 km) from Circular Quay. 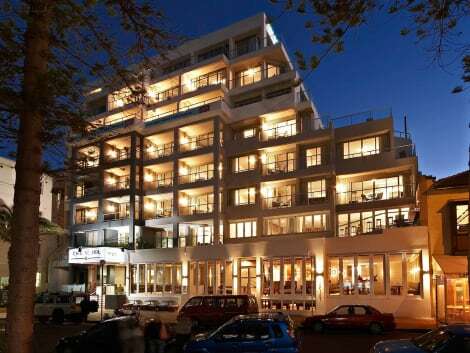 lastminute.com has a fantastic range of hotels in Manly, with everything from cheap hotels to luxurious five star accommodation available. We like to live up to our last minute name so remember you can book any one of our excellent Manly hotels up until midnight and stay the same night.